I listened to an excellent podcast the other day by Tim Ferris. (There are so, so many good ones there!) In it, he shared the morning routines of several successful people. One of the things I loved about it was the recurring theme of reducing decision fatigue – a pet topic of mine. 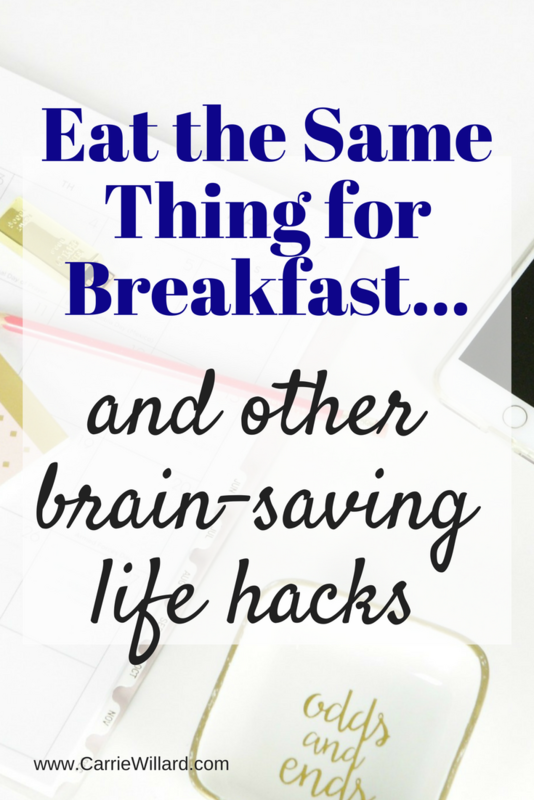 The idea of eating the same thing for breakfast every day is a great life hack why? Because it “saves cognitive strength” for more important things. How often do we as busy moms feel a little brain-fatigued? If you’re asking me, the answer is: often. I’m kind of on fire about the idea of routines. I love following them because it makes me more productive. I’m on auto-pilot. 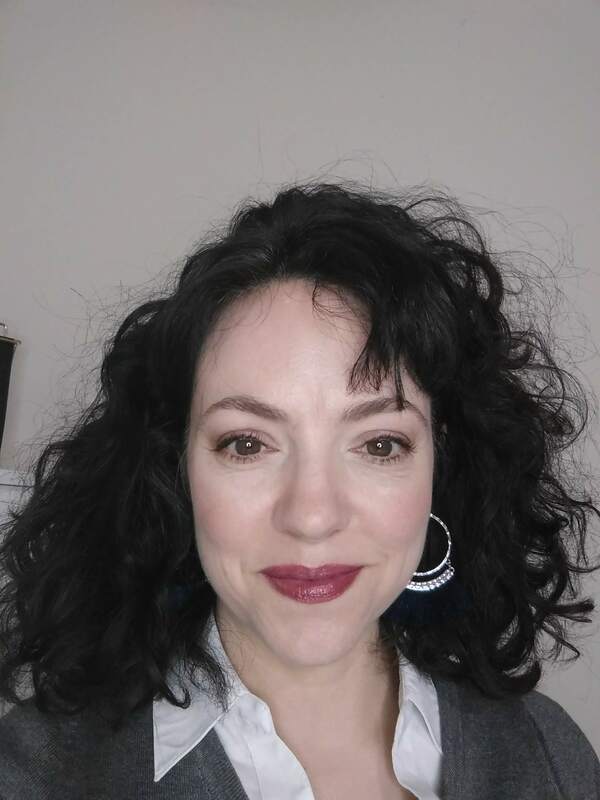 I’ve been thinking of more ways to automate and simplify the things that just aren’t as important, so that I can save brain space for creativity and things that require more energy and willpower (like biting my tongue and speaking with kindness!). As I mentioned above, thinking about what to eat for breakfast and lunch every day is not something I want to bother with. So every morning for breakfast, I have coffee with collagen (read more about the why and how of collagen) and a low carb/high protein, sugar-free, gluten-free muffin in a mug. Sounds super boring, but they’re truly delicious. I use recipes from this cookbook. I eat early, at least two hours before the family gets up. Once they’re up, it’s soft-boiled eggs with toast, bacon or sausage. That’s it! I use this nifty egg cooker. Game changer. I tell you. If there are leftover eggs, they become my snacks later. For lunch, I nearly always have either leftovers from the night before, or a simple veggie soup (broccoli, cauliflower or leek) or sometimes, a piece of fruit and an Oikos 000 yogurt. Dinner is more varied. I like to try new recipes and things. But even then, I stick with simple, one-pot meals often. I list some of my favorite simple healthy cookbooks here. This summer, I wore one skirt, one pair of shorts and one pair of capris all summer long (I’ll get back into dresses once the last one is weaned! ), rotating with 4-5 tops. I’ve written about my minimalist wardrobe at length here. My routine has gotten a tiny bit more complicated, as I’m investing more time and money into my skin. I used to hate doing my whole night time routine, but now I actually love it and stretch it out to 10 minutes or so. It feels like a mini-spa to me. The simplified aspect comes in like this: I only use one product line now, from a company called SeneGence. I sell it, so I get it at 50% off. It’s one less choice I have to make. I get everything I need from one place, rather than buying this and that from here and there. More info in my Facebook group. I recently toyed with the idea of taking Pure Barre classes because a friend of mine is an instructor. And honestly? When my little kids are older, I might very well join a gym again. At one point I enjoyed going to one. However, at this time it’s best for me to keep things simple. I walk or bike (hopefully every day! ), and lift weights and/or do bodyweight exercises occasionally. That’s it. Doing the same things helps me not spend time wondering what to do, but instead I get down to the business of doing it. Right now I could definitely do with a weekly cleaning routine, but my energy level usually dictates what I can do in that area, so I don’t follow it strictly. We did hire a cleaning service that comes twice a month (thank goodness for that! And I’m glad my business allows me to afford it! ), but that doesn’t help with the daily upkeep. However, I do follow a loose routine (note: not schedule) for my day. This includes time for cleaning and laundry and meal prep. My days are more routine especially once school starts. For us, that’s September 1, although my two little girls started already. What are some things you do on autopilot to create more ease and flow in your life? Enjoyed your post today! Don’t know if you are still wearing minimal shoes…I found some cute ones made in USA (at least I think they are cute!!). hosshandmade.com and the price is reasonable as well ($80). Just curious…does your company offer other products? Facial care? Moisturizer? Hi Linda. Thanks for the link! Yes, SeneGence offers skin care and other types of long-wearing, smudge-proof makeup. I emailed you!